In partnership with Sky Sports and the 5-a-side specialists, Powerleague the best Precision moments will feature on Gillette Soccer Saturday. Gillette, the world’s leading male grooming brand, has kicked off a nationwide competition giving budding 5-a-side teams the chance to feature on adverts during Sky Sports’ flagship show, Gillette Soccer Saturday. A selection of special Gillette precision pitches across the UK’s Powerleague centres have been fitted with red button technology, allowing players to retrospectively capture a great precision goal, save or moment of skill that could make it onto the silver screen alongside the likes of Jeff Stelling and Charlie Nicholas. To enter, players need to simply hit the red button on the side of pitches at either Enfield, Gateshead, Shrewsbury, Sunbury, Trafford or Wigan. Their clip will appear on www.gilletteprecisionplay.co.uk where they can find their moment of brilliance and submit it for consideration. Matt Thomas, Gillette and Venus UK&I Brand Manager, said: “Precision and innovation are at the heart of everything we do at Gillette. This campaign brings both of these together through a truly unique partnership with Powerleague and Gillette Soccer Saturday, enabling young guys to feature their 5-a-side precision moments on national TV. 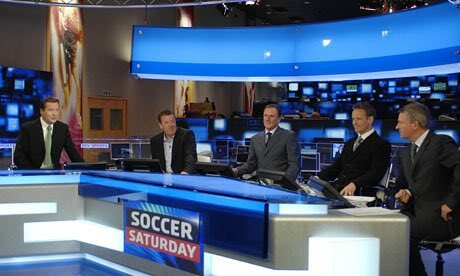 The best clips, chosen each month by Gillette, will appear before and after each ad break on Gillette Soccer Saturday as well as during Sky Sports News HQ.